This is the lawn on the southwest corner of South High School in Minneapolis. 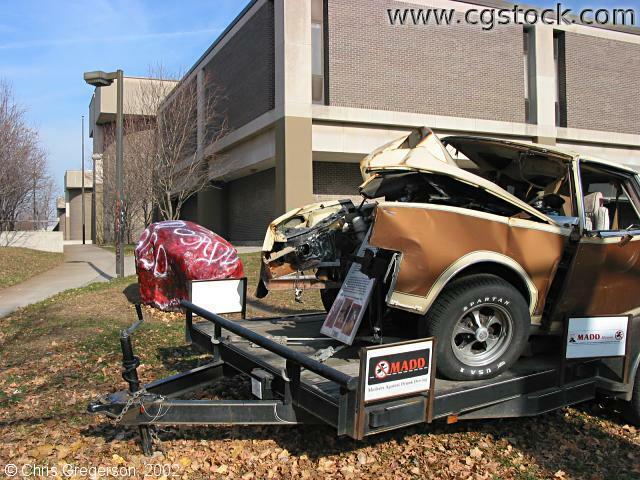 The trailer and wrecked car are labeled with signs from MADD (Mothers Against Drunk Driving). There is a sign with text and photos (presumably victims of the crash) on the front of the car, which looks as if it may have hit a pole.